In one of my more boneheaded moves EVER, I gave up alcohol for Lent this year. I’m not Catholic, but I like the tradition of sacrificing something I enjoy for 40 days in an effort to refocus my attention on the things that really matter. I didn’t think thru that I’d be giving up a beer on St. Patrick’s Day, girls night out cocktails and martinis with my hubby after a particularly trying day. I guess that means it was a successful experience since I really felt the pain of the loss. Actually, this blog is the product of Lent. A couple years ago I decided to give up Facebook for Lent. After about 3 days, I was so deprived for online community that I started Bakerlady. I kind of missed the spirit of sacrifice that year. I stuck to the “wagon” much better with alcohol. Today was the end of my deprivation and I celebrated by making one of my all time favorite drinks. Of course I have to share my joy (hic-up!) with all of you! This drink is just like a good woman. A little girly, but strong enough to knock you on your behind. 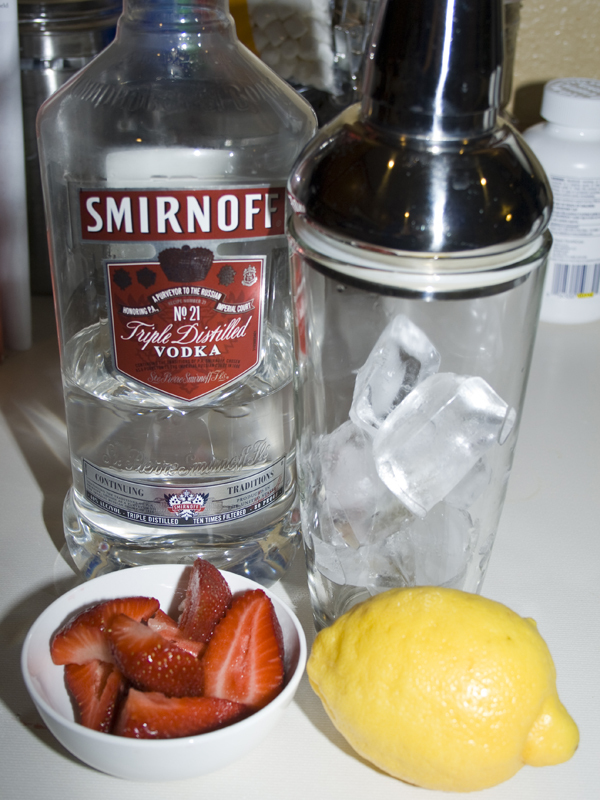 Start with vodka, fresh squeezed lemon juice, strawberries and some simple syrup*. Put it all in a shaker and mix mix mix it up. Shake it good. I like to sing a little drinking song during this part. Chumbawamba Tubthumping is an excellent choice. 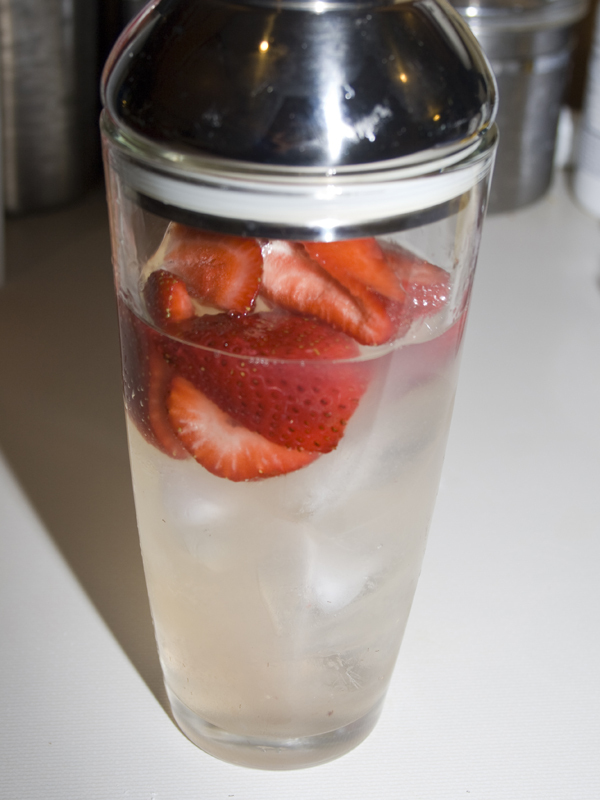 The strawberries get all groovy with the ice, break down and delicately tinge the liquid pink. 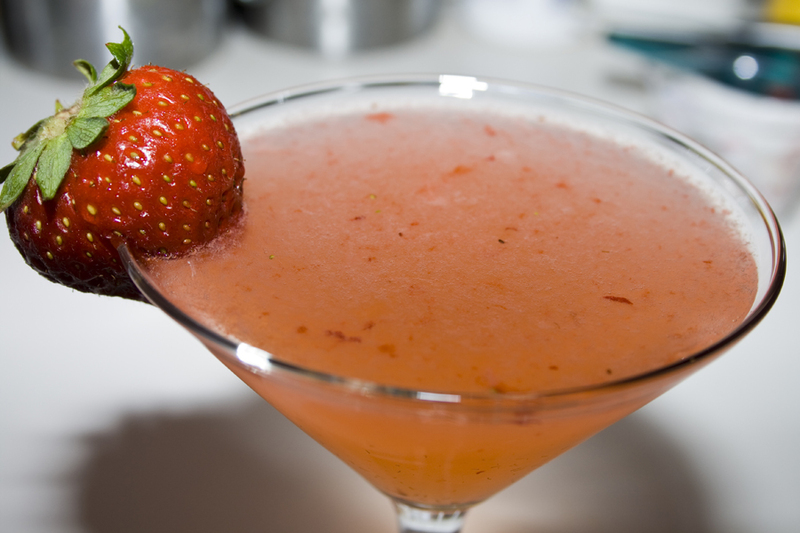 Pour into a martini glass and garnish (if desired) with a strawberry. Enjoy! They are delightful! *Simple syrup is equal parts water and granulated sugar…stir over medium heat until sugar is dissolved. I make up a batch (about a cup of each) and keep the mixture in my fridge in a tupperware container so it’s always handy. Hi there everyone, it’s my first visit at this website, and article is in fact fruitful in favor of me, keep up posting these articles or reviews.